Susie is a junior BME major and CS minor from Kansas City. She does research in the van der Meulen biomechanics lab and is the Head of Professional Development for the Alpha Omega Epsilon professional engineering sorority. Her favorite things in the world are camping, playing the ukulele, and making Spotify playlists (currently 200+ playlists)! Her favorite thing about DEBUT is getting to learn from the amazing, creative, passionate people in DEBUT! Sidd is a junior Operations Research and Information Engineering major and Business minor from Bedminster, NJ. He is also treasurer of Kidney Disease Screening and Awareness Program, treasurer of the Psi chapter of the Zeta Psi International Fraternity, and an Associate in Cornell Investment Banking club. His favorite things to do in his free time are play guitar and read the Journal. Sidd’s favorite thing about DEBUT is the enthusiasm of the team members and the potential to have real-world impacts on people in need. 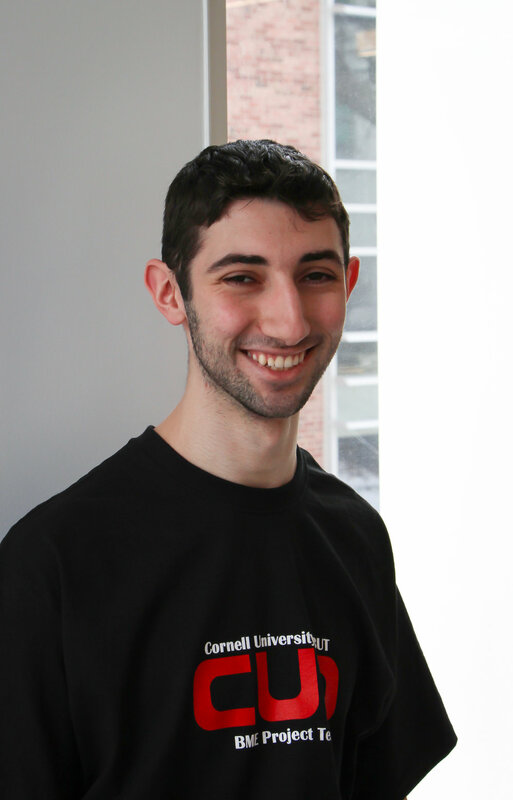 Alex is Project Manager for The '20 DEBUT Submission Team, Junior Captain of Cornell ChemE Car, and a member of Zeta Psi, Alpha Chi Sigma, and Tau Beta Pi on campus. In his free time, he enjoys playing basketball and reading. Alex’s favorite thing about DEBUT is the variety of ideas and opinions– sometimes, the coolest projects are the ones you never would have thought of.